Amersham multi-storey car park has received a national award for safety and recognised for its high standards of design. Amersham had been experiencing parking stress for a number of years and a recent survey showed that to accommodate the rising number of users and to continue to support the vitality of the town, an additional 339 to 520 spaces would be required. Amersham multi-storey car park is the main car park for Amersham train station, serving commuters, local workers, residents, and shoppers. Is it located in Zone 9 of the London Underground and is one of the main gateways into London. The extension to the multi-storey car park maximises the availability of space by breaking through into the original building and using the existing vehicle access and vertical circulation to negate the need for a separate exit ramp structure. This enables the maximum number of spaces to be created on the available area of land. 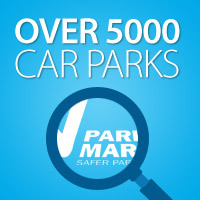 As a result, an additional 366 spaces have been created increasing the overall capacity of the car park to 1046 spaces. It was essential that the project was completed on time and within budget and the council was pleased that both targets were met. The work to construct the extension commenced in October 2017 with a November 2018 completion, opening to the public on 30 November. 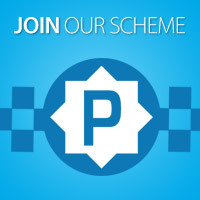 Antony Powell, British Parking Association Area Manager said: “Chiltern District Council has been a long term supporter of the Safer Parking Scheme and its ideals. The design and features of new extension to the Amersham MSCP clearly demonstrates enhanced parking provision to the local community.